The Colorado Chocolate Festival, our flagship 2-day event, happens the Friday - Saturday of Mother's Day Weekend in May at the Denver Mart. The ​Holiday Chocolate Festival lights up early December with chocolates, Santa and holiday fun - at the Colorado Springs Event Center. Our northern festival, the Rocky Mountain Chocolate Festival, is held in September at The Ranch event complex on I-25 in Loveland. Now owned and operated by Dana Cain Events, Choctoberfest offers family fun each October at Arapahoe County Fairgrounds. 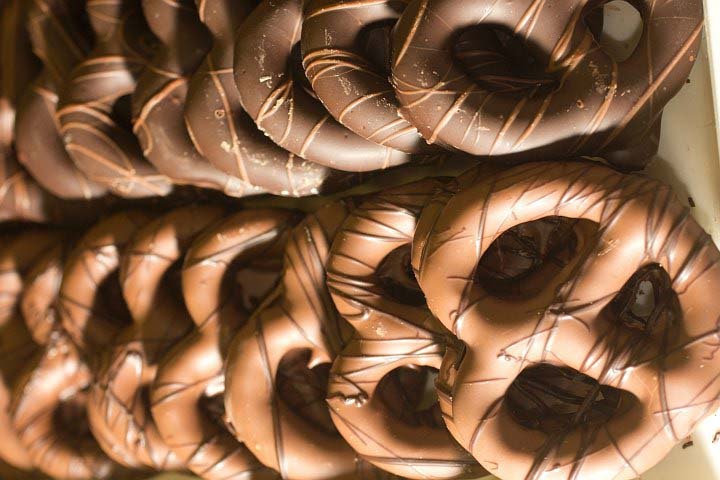 1000s of Chocolate Samples, Live Entertainment, Fun Contests & More! Kids under age 5 are FREE at all shows. Purchase Taste Tickets to sample as much or as little as you like. Taste Tickets are 12 for $10. Vendors usually offer 1 taste for 1 ticket, but it varies depending on sample size and ornateness. Full day of live stage entertainment and contests. Win Golden Tickets to spend at any booth! 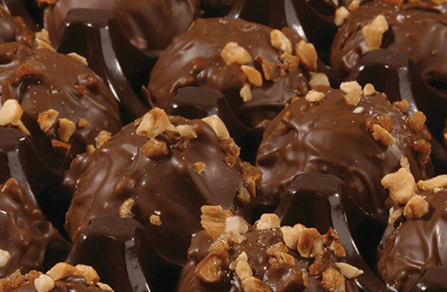 Reach thousands of new customers at our popular chocolate festivals! At most of our shows booths start at just $165 (Early Bird rate) for chocolate, food or drink booths. Gift Booths are limited, and cost $295. TASTE TICKETS LET US PAY YOU TO SAMPLE! You get $1 for every 3 Taste Tickets you turn at the end of the show! This is what keeps our vendors coming back year after year! And YES, you can sell at your booth! Many of our vendors report record sales at our festivals - and some even sell out of product. Bring lots! Our crowds are amazing, and the demographics are to die for! If your business wants to attract women and families, check out our Sponsorship Options! Discounts for sponsoring multiple festivals! ​Sponsorship opportunities start at just $750! ​We love hearing from chocolatarians, chocoholics and all manner of chocolate fans!